My insatiable love for Africa began at a young age, I couldn’t tell you whether it was The Lion King or David Attenborough many adventures which inspired my unforgiving lust for this country. Africa was sitting on the number one spot on my bucket list. It’s the place everyone wants to see – but a place few will venture (why?). Africa, as a nation, is portrayed in the media as an unsafe continent, full of famine, disease, death and war. When i announced Africa was my next destination, it was met with unease, worry and amazement – This continent, normally so out of reach, was about to be explored by a 20-something-year-old? Beautiful African Sunset on our first day in Zambia. What i experienced in Africa, was worlds away from how the media described, but very different to the expectation I had for it. For my trip to Africa, i hopped on an organise tour with G Adventures which would take me through Three Amazing African countries. – On this trip to Africa, Solo travel was not an option. Landing in Zambia, travelling through Zimbabwe and ending in Jo’Burg before flying down to Cape Town to spend the last few days before jetting home. Why did I decide on a tour? – Sadly, one way tickets and an endless timeframe were luxuries I did just not have on this trip – to see everything I wanted to, within the timeframe i had, touring was the best option for me. G Adventures were a company I had researched – I trusted – would fulfil my hopes and dreams of Africa to the fullest – and boy, was I right. The tour was not a ‘follow the red umbrella’ tour – we were camping, building fires, cooking, cleaning, washing clothes in sinks of campsites (or swimming pools), avoiding scorpions and creepy crawlies. 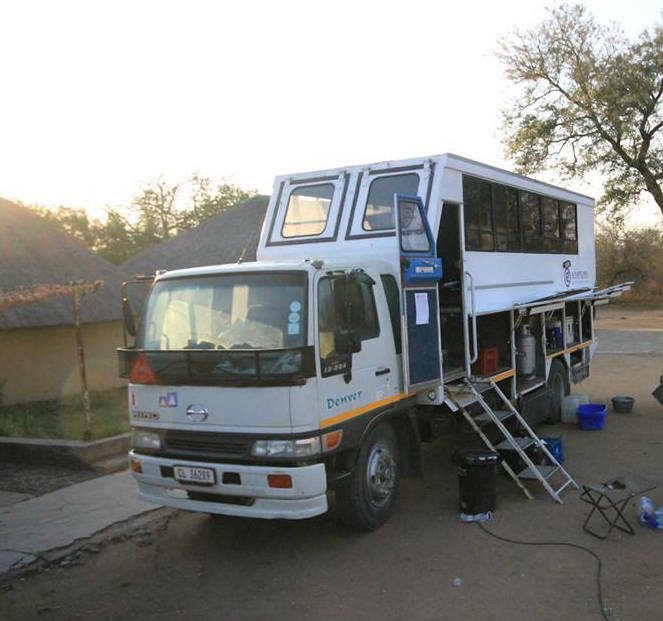 For the next 17 days I spent my days travelling through Africa in a ‘Truck’ with 20 other travelers and our two awesome guides. Camping Every Night. Bonfires Every Night. IT WAS AWESOME. This was our truck, it’s not a bus! Landing in Livingstone, Zambia. I had no idea what to expect. I have to be honest – it was part of the trip I had researched the least – my only knowledge of Zambia was Victoria Falls was easily accessible from here. Leaving the Airport, we jumped in a taxi to head to our accommodation for the night. The first thing that struck me was just how friendly everyone is – not the kind of ‘friendly’ you would describe a cab driver in London – but a genuinely happy person, wanting to talk to you and know a little about you and share a little about themselves. The second thing i noticed was the Emptiness. Driving through Livingstone took all of about 2 minutes, before we were out-of-town heading toward the Zambezi Waterfront Hotel and Campsite. We went from small town to nothing in 2 minutes… this was the Africa I imagined in my dreams. – An Endless Horizon with vast open planes. 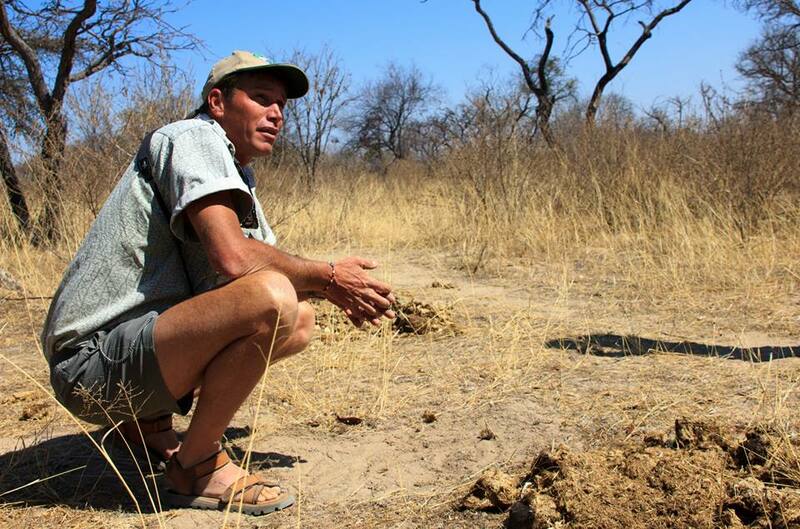 Exploring Zambia’s desert like surroundings. We found the rest of our group at the bar (obviously, start as you mean to go on) and we sat on bar stools by the Zambezi River ‘getting to know’ each other and our tour guides – and the mosquitos. – While watching our first African Sun sneak down below the Horizon. Waking up the next morning – baby monkey alarm clocks are much more welcoming than screams from a phone – we were greeted by playful monkeys using our tent as a trampoline. Welcome to Africa. As we boarded our ‘Truck’ and ran through the happenings of the next two weeks, practiced how to put up a tent and split into ‘chore groups’, we were then on our way to the first stop of the trip. Nothing could prepare my senses for the overwhelming, thunderous and mighty Victoria Falls. Walking through the forest trails, you could hear her before you could see her. Everything was alive here and I couldn’t stop my eyes from opening wider and my excitement building. To see the pictures come alive from books you grew up with, to be standing with your own eyes viewing something you only ever witnessed on television, is unexplained. The feeling is overwhelming disbelief (positive disbelief), you made it, you got here. This dream is real, it’s happening – it’s mine. It was impossible to pull yourself away from this. Standing on the Edge of the viewing platform, being slowly soaked in spray-back but being completely captivated by the thunderous roar, the overwhelming feeling of respect, wonder and amazement. 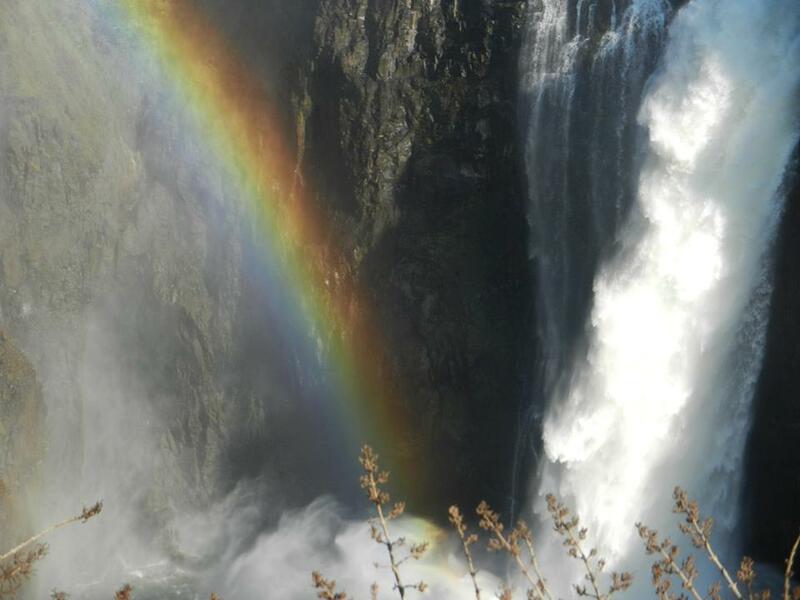 Beautiful rainbow over Victoria Falls. Leaving Victoria Falls was hard to do – you could have left me there all day, i wouldn’t have got bored – We were now heading to the border to cross into Zimbabwe. The next adventure awaited us. that I extremely enjoyed the standard info an individual supply to your visitors?